Dean later earned an Electrical Engineering Degree from Texas A&M University and worked in advanced technical communications at many Army posts in the United States and Europe. He was honored for his distinguished service with the Army Commendation Medal. 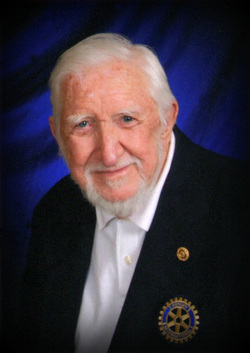 Following his military retirement, Dean worked in computer applications and communications in private industry in Pennsylvania, Texas, and in the oil fields of the Middle East. Dean is survived by his wife Patsy of Pittsburg, TX, and a large family spread out around the country. In lieu of flowers, memorial contributions may be made to Clean Water for the Pacific, P.O. Box 1307, Pittsburg, TX 75686; the First United Methodist Church, 109 College, Pittsburg, TX 75686; or a charity of your choice. Above: Lieutenant Colonel Dean Woodward, USA (Ret. ), who passed away at home in Pittsburg, TX, after a short illness on February 6, 2016. Never Forget Our Veterans Foundation, represented by Kurt Hiete, Managing Director, participated in the homecoming of 1stLt Alexander Bonnyman, Jr., USMC, a Medal of Honor recipient killed during the Battle of Tarawa in November 1943, in Knoxville, TN. Bonnyman's remains were missing for more than 70 years until they were discovered by an archaeological team from Florida-based History Flight, Inc., in March 2015. On Friday September 25, 2015, Bonnyman’s casketed remains returned home to a hero’s welcome at McGhee Tyson Airport in Knoxville, the city of his upbringing. On Saturday September 26, 2015, a public service was held in his honor at the East Tennessee Veterans Memorial. The following day, on Sunday September 27, 2015, he was laid to rest at Highland Memorial Cemetery, more than 72 years after his death, in a plot picked for him decades ago by his father. View a photo essay of Bonnyman's homecoming here. Above: Kurt Hiete, Managing Director of NFOVF, lays a wreath in honor of 1stLt Alexander Bonnyman, Jr., USMC, at his memorial service at the East Tennessee Veterans Memorial in Knoxville on September 26, 2015. Never Forget Our Veterans Foundation is pleased to report that an archaeological team from Florida-based History Flight, Inc., discovered a long-lost burial trench and recovered at least 36 missing Marines killed during the Battle of Tarawa from November 20-23, 1943. Among the remains recovered and positively identified are those of 1stLt Alexander Bonnyman, Jr., one of four recipients of the Medal of Honor for actions at Tarawa. Read History Flight's press release about this incredible development here. Never Forget Our Veterans Foundation is pleased to report that the use of high capacity water filters on the islet of Betio in the Republic of Kiribati (formerly the Gilbert Islands), where the WWII Battle of Tarawa was fought in November 1943, has helped 40 local families avoid water borne illnesses during a recent outbreak among the population. Romano Beo, mayor of the densely populated community of 20,000, credits the diligence of Lt. Col. Dean Woodward, USMC (Ret.) and founder of a Texas based NGO called Clean Water for the Pacific, and five other Tarawa veterans who raised the funding for the filters and delivered them during a May 2014 return trip to the battlefield of their youth. “We had a recent outbreak of dysentery and diarrhea in Betio and none of the families using the water filters got sick. The filters made a huge impact,” Beo said. Funding for the filters, which cost $50 each, included a contribution of $1,000 from American Legion Post 283 of Pacific Palisades, California. Never Forget Our Veterans Foundation is pleased to have connected the Legion with this unique humanitarian project, and we are grateful for their generosity. Efforts are currently underway to provide additional filters to the people of Tarawa, who face enormous everyday challenges including overcrowding, pollution, lack of access to clean water, and minimal sanitation services. Read more about our plan to improve living conditions on Tarawa here.